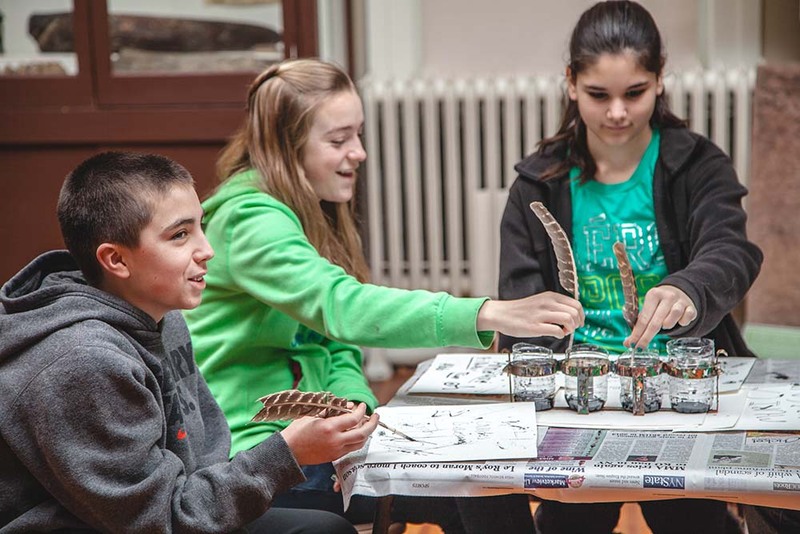 Teaching kits are designed for hands-on student learning in a classroom setting and are available on loan. Contents of teaching kits vary and may include: objects, artifacts, supplies, videos, photographs, lesson plans, and books. Currently two teaching kits are available including Schoolhouse Days and Old Time Games. Book Kits are also available on Women Suffragists and The Underground Railroad. Kits are available on a first-come, first-served basis for a period of two weeks. 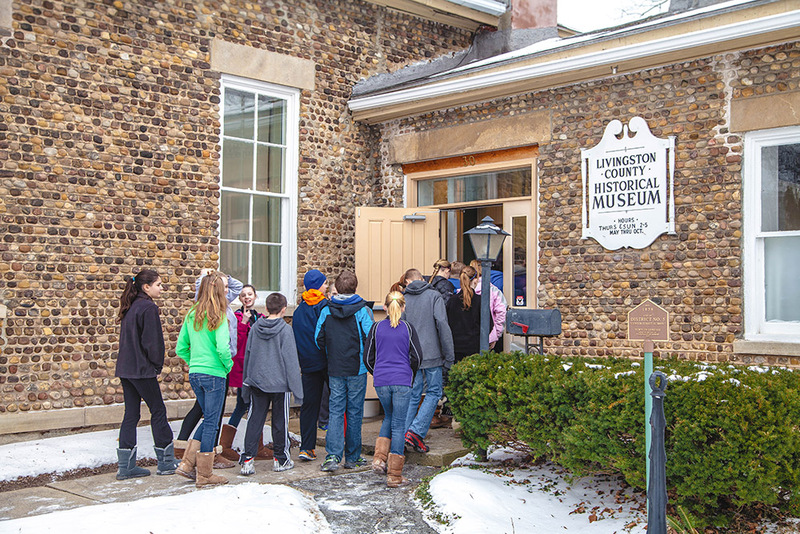 For information on scheduling school tours, contact Anna Kowalchuk at lchistory@frontier.com, or (585) 243-9147. At a recent Activity Day students rotated among several stations. 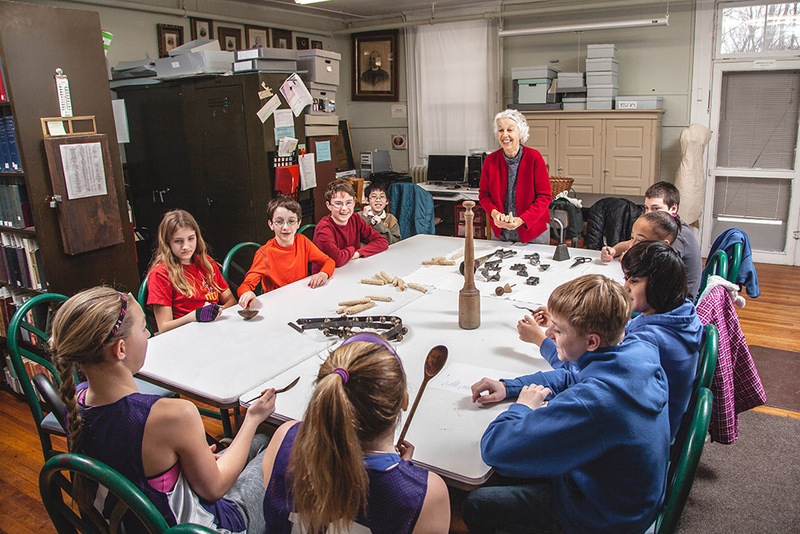 One group learned all about the Wadsworth Coach with Genesee Valley Hunt historian, Linda Gibbs. Another group watched Karen Miskell spin cotton and flax on her spinning wheel and learned about various dyeing techniques. The Geneseo Yorkers, supervised by Bonnie Ellis, assisted with outdoor games including: sack and three-legged races, tug of war, and graces. 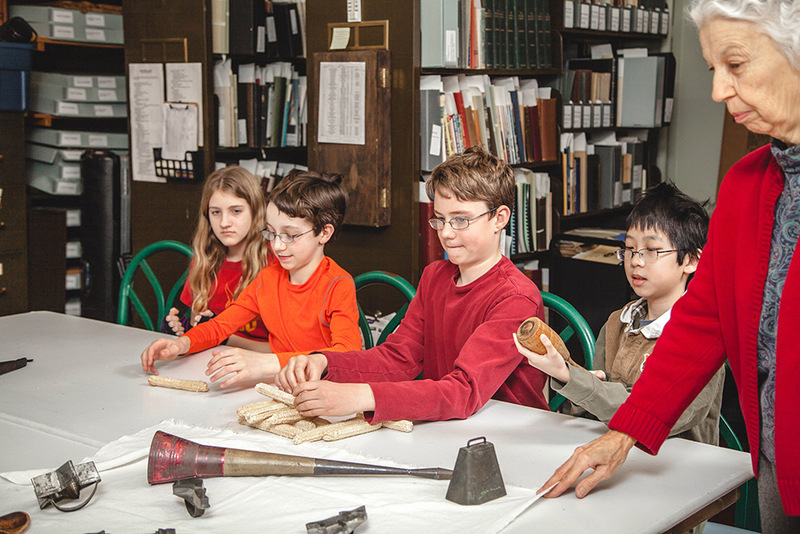 Museum volunteers have become quite skilled at perfecting the art of making corn husk dolls. This is a favorite activity of LCHS and is one often taken on the road to schools and festivals. 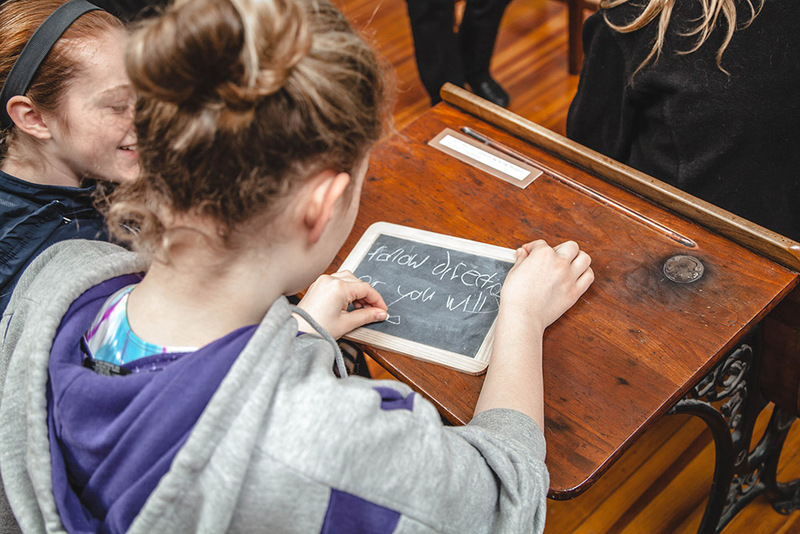 Writing with quill pens is another favorite activity here at the Livingston County Museum.